Just so you all know!! The new catalog will be here in just a few weeks! I am so excited to see all the new stuff! If you would like to buy a catalog, just tell me know and I can get you one! They will be $5 per catalog unless you book party for January or February! I will be having an open house at the end of January as well! There will be door prizes and a Make-n-Take! 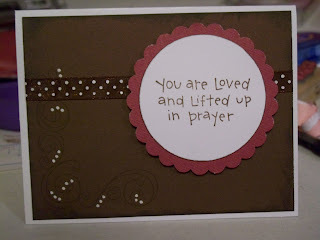 Plus you will get to see some of the new stamps and lots of new projects and cards! I will update you more on this after the Holidays! 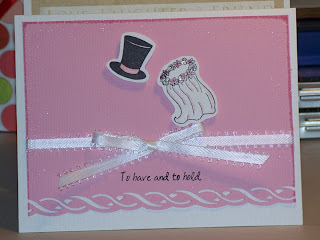 Here a just a couple of cards I have made recently ! Hope you all are doing well! Here is a clipboard I made today. Steph, I was thinking you gave this clipboard to me. I have had it so long, I guess I can't remember! Maybe we got it at that scrapbook store in Ft Collins? Anyway! I thought it was cute! 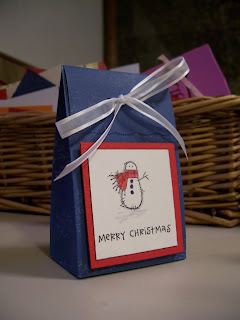 I used the Mulberry paper from TAC. I cut out a couple of the matching flowers off of another of the papers in the pack. 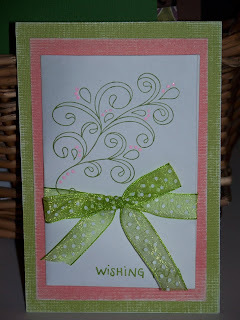 I used the SwirlyGig stamps with palette ink to add a little something on each side! I also put a tag on it for some more decoration! I can give credit again to Jen! She gives us all such great ideas! And I copied this one! Like I copy alot of things from Jen! She gives us such great ideas to go off of and then it starts the creative process flowing! :) Thanks Jen!!! 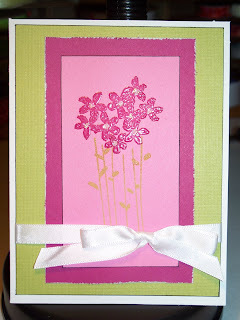 Here is a new card I made today! 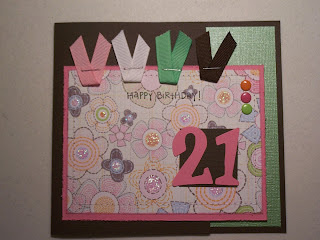 I made it for a girl at work that will be giving it to her daughter that is turning 21! It was so much fun to make! The pictures don't show the colors that well, but it is pink, brown, green, orange and blue! 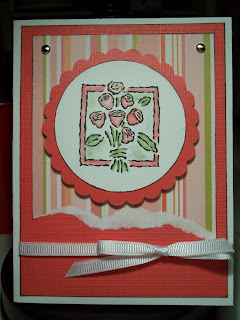 I used stickles in the center of the flowers on the patterned paper. 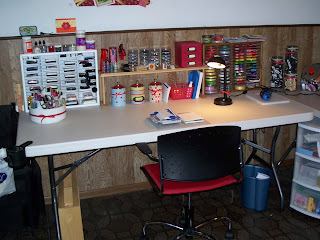 I attached 4 colors of ribbon at the top with staples and a few cordinating snaps on the side! 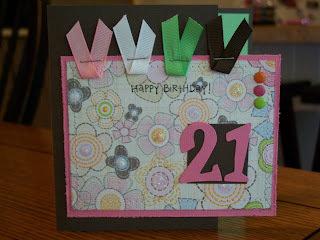 I used Sizzix numbers for the "21"! 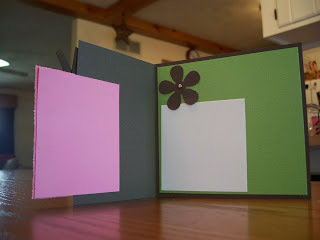 As, you can see this is also a different fold. 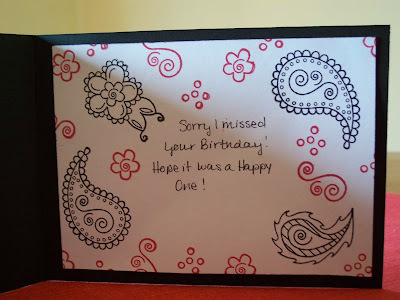 There should be another one of this type of card that I posted before. 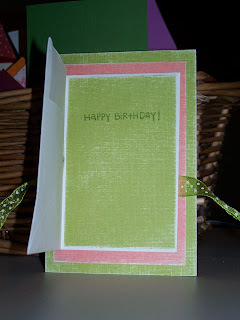 I layered it with green cardstock on the inside and then attached a piece of white card so she can write inside! 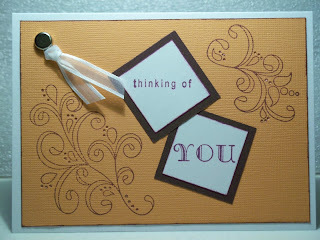 I used a flower punch and made a little flower out of brown paper just for a little something on the inside. I also covered the back of the card that I attached on the inside, because I did stitch the front cards together with my sewing machine. I think it looks better to cover all that loose stitching and the back of the snaps too! This was alot of fun to make and I had to share it with you! Thanks for checking it out! Here are a few new cards that I made this evening. 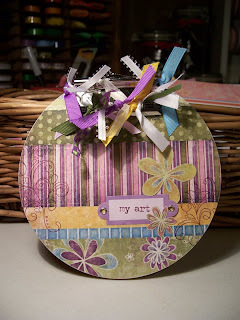 The first is from a challenge that I found on jensinkspot.blogspot.com. It was to use 4 specific colors and make a card. From that challenge, I made another one using only 3 of the colors. 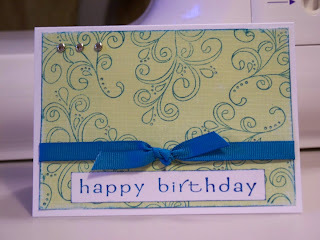 I embossed the image and used a distresser for the edges of the cardstock! The last card was fun to make. 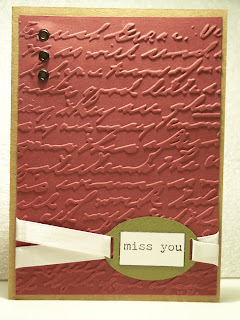 I took 2-3 different colors of chalk and rubbed them across a piece of cardstock. The I picked a stamp and coated it in Versamark. I stamped the image in the middle of the chalk. Doing this, the versamark pulled the chalk off of the cardstock so you can see the image in the chalk. I thought it turned out pretty cute! I also used Snarkels (as my sister calls them!) or Stickles to the rest of us, in the middle of each flower! 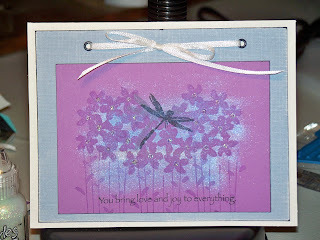 I also used 2 different color inks to stamp the dragonfly in the middle! You will have to let me know what you think! 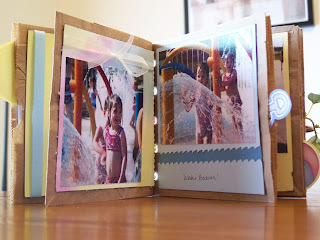 Well, Jennifer gave me another fun idea, so I had to throw a paper bag book together! 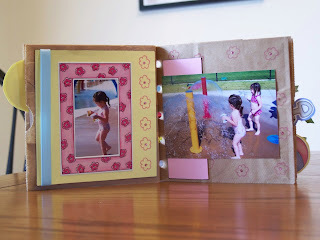 It is basically a little book or album made out of brown paper bags! Several months ago I ordered some pre-made paperbag books and they have been laying in a drawer ever since! Jennifer posted one on her blog that was so super cute! I had to try it out! This is the cover...you can see the holes punched along the side. 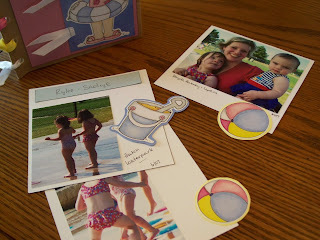 I used beach balls and pales for the tabs on the little cards that slide out of the open ends of the paper bags. I used cardstock to mount pictures on some pages but also used stamps and stickles on other pages just for little touches here and there! I also used my wavy edged scissors for decorations and lots of ribbon! 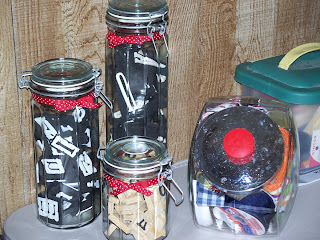 I love using staples to attach ribbon! And of course tying bows! I learned how to tie flat ribbon and knots so they look really cute! 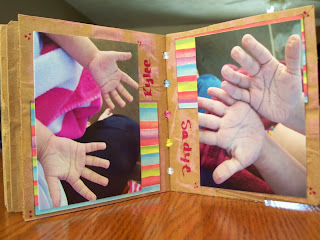 This is a cute page of Rylee's and Sadye's pruny hands! These are the tabs that you can pull out. 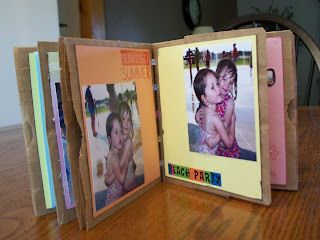 I made this book for my friend Aubrey and her girls, Sadye and Lydia! I used the girls picture for the first slide outs! These are so much fun to make and doing this little project has given me many more ideas for more! Thanks, Jennifer, for the ideas! 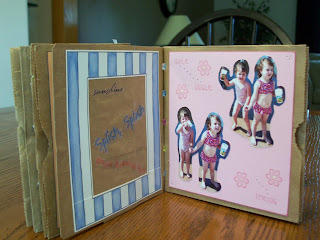 Steph asked me the other day about my scrapbook room, so I told her that I would take pictures and send them to her. 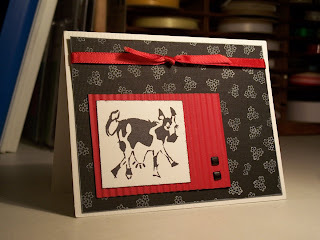 She is getting into scrapbooking and stamping and looking into how to organize. 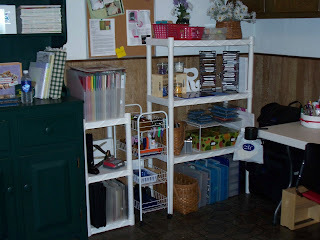 I am always looking for new organizational tips and fun things to use. 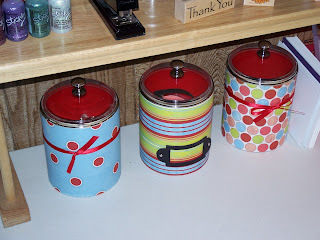 I will give a list of things that I have found and are easy to find and pretty inexpensive. 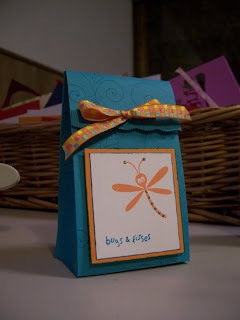 I use Cropper Hopper 12x12 paper holders. You can find them at Hobby Lobby and if you use the 40% off coupon, they are only about $13 each. 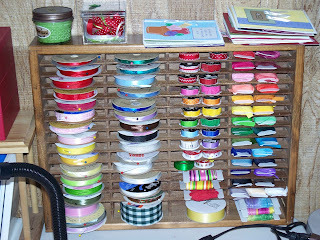 I found cassette tape holders that hold my ribbon and ink pads. I have full intentions of painting them all white but just haven't yet. I am also using an "over the sink shelf" in between just for more space. 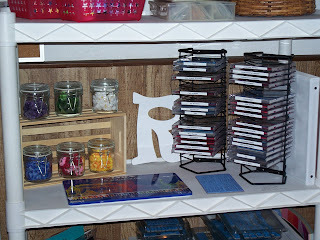 This picture shows how I store my stamps. They are unmounted so the fit easily in a CD case. My flowers are all in jars from Hobby Lobby stacked in a wood crate from there as well! I always look for 50% off days or again, use that 40% off coupon. 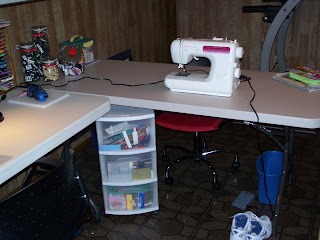 This is my sewing table. I found this sewing maching at Target on clearance! Its's a singer! I love it! I use it on cards and scrapbook pages quite a bit! Below the table is just one of those rubbermaid drawers from Walmart. I use the top drawer for scrap paper. I keep every bit of paper I might use again! 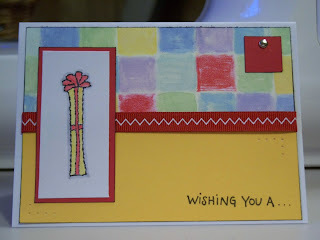 I am sure that saves money when I make a card totally from scraps! I had to show these cannisters as well! These are from drug reps at work! They have drug names on them but I decided to cover them in Basic Grey Paper and use them for little odds and ends! I just love them and they go with my red theme! HI! I am trying out this blog thing! 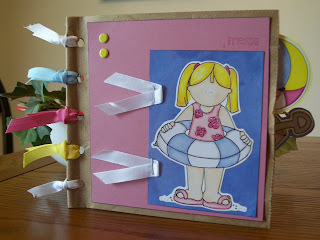 My friend Jennifer has a great blog that she can post things on and people have been asking me to post my cards and scrapbook pages so they can see them....so I thought I would try this to. I don't know how often I will post things but come and visit if you have time and I may have new things up! 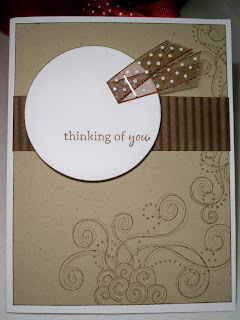 I have started making cards and stamping using The Angel Company stamps and I really love it. 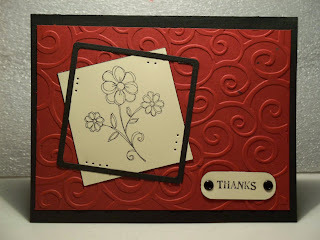 I have sold many cards and have alot of fun learning new techniques! Jennifer, an Angel Company consultant has been teaching me lots of fun stuff and I hope to learn lots more! Thanks Jennifer!! Well, that all for now. 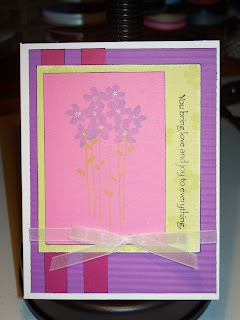 I guess I have to try this thing out so I am going to post a card I just made last night! It is one Jennifer had on her blog so I had to try one out! 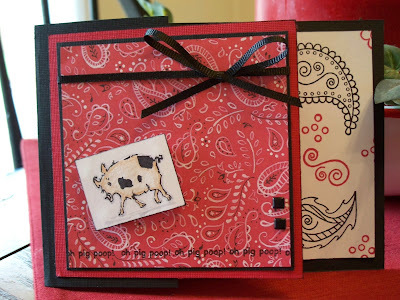 The card is stamped with the Farm Fun set and folds differently than most. I think its pretty cute! Let me know what you think!